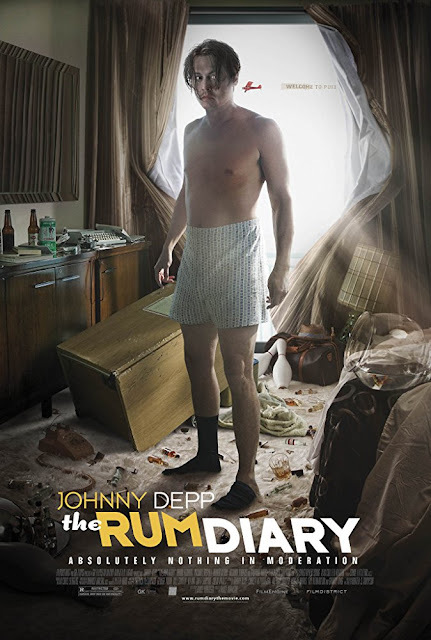 The Rum Diary Post Mortem: Lost in Translation But Don't You Dare Blame Hunter S. Thompson! When a movie goes wrong, when it opens poorly and doesn't go anywhere, Hollywood loves to get in there and do their Monday morning quarterback thing. And The Rum Diary went wrong. It opened poorly and after a full week at the box office is still very low with just $7.5 million dollars. 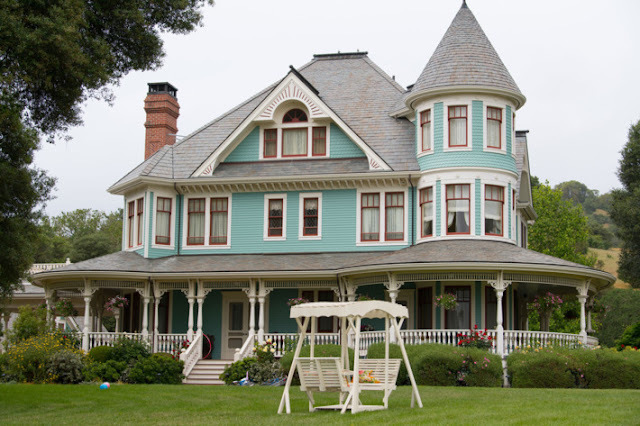 It was released by Film District and I've read varying budget amounts from $12million to $45million. Obviously it's a whole lot easier to make back $12mill than $45mill! "Probably, at the end of the day, the whole Hunter thing attracts more of a cult audience. While he and Johnny were best friends and the movie is a tribute to Hunter, Hunter is still a little too extreme for the mainstream." What!! Hold on a minute, Mr. Berney. I have a feeling that legions of Hunter S. Thompson fans would take offence at your blaming the film's failure on the author of the book the film is based on! Did he write the script? No he did not! Hampton Stevens, at The Atlantic takes Berney to task. AND puts blame squarely where it belongs...on the shoulders of the director and writer of the screen adaptation, Bruce Robinson. "Berney has the right to defend his star and film, but he was wrong to blame the bad showing on the author of the book that it's based on. If "the Hunter thing" is a cult, it's an awfully big one. 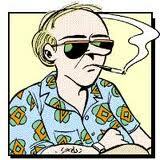 The drug-addled cosmic moneywrench persona Thompson created has permeated nearly every level of pop consciousness, not only through his still-cherished writing, but also as the model for "Uncle Duke” in the comic strip Doonesbury, as a superhero in DC's comic book Transmetropolitan, and on TV as the “Hunter Gathers” character from Adult Swim's show The Venture Bros. "Gonzo," the byword for his kamikaze approach to life, gave its name to a Muppet. On film, he's been portrayed by Bill Murray inWhere the Buffalo Roam and has been the subject of nearly a dozen of documentaries. Oh, and there's Johnny Depp's previous two Thompson-inspired flicks: the 1998 cult classic Fear and Loathing in Las Vegas and this year's well-received animated adventure Rango. If the guy was any more mainstream, a theme park in Florida would open a Hunter S. Thompson ride called “Fear and Loathing in Orlando.” No, Depp's cinematic mash note to the late author flopped because director Bruce Robinson couldn't decide what kind of movie he wanted to make. The Rum Diary veers wildly from a buddy picture to a slapstick comedy to a remarkably pointless romance between Depp and the luminous Amber Heard, before finally settling on a tale of ragtag underdogs fighting Evil in the person of Aaron Eckhart." You can read Stevens' entire piece here. 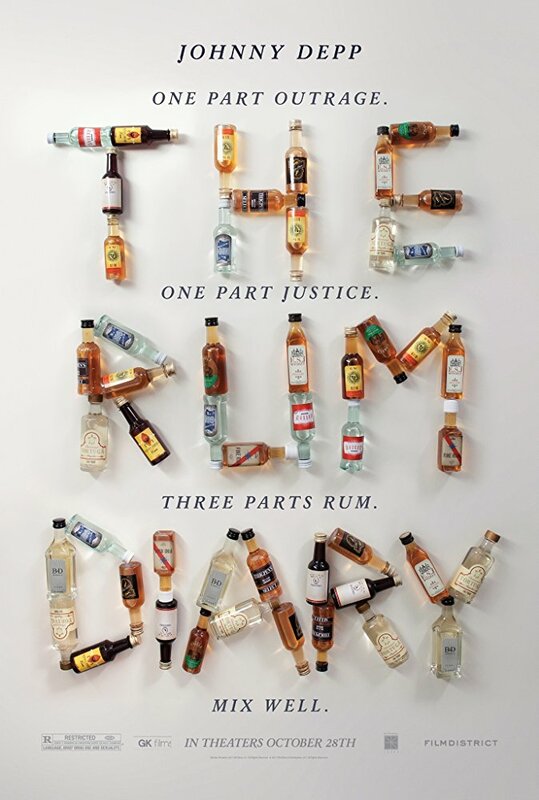 By the way, just days following his apology/excuse/whatever for The Rum Diary's failure, Bob Berney made another announcement. He's leaving FilmDistrict this coming March. I have zero idea if these incidents are related but it sure is interesting! Betsey Sharkey at the L.A. Times blames Robinson too - and it's nice to see reviewers referring to the source material for a change. It's disheartening when someone reviews a film with barely a nod to the book as if the movie materialized out of thin air. 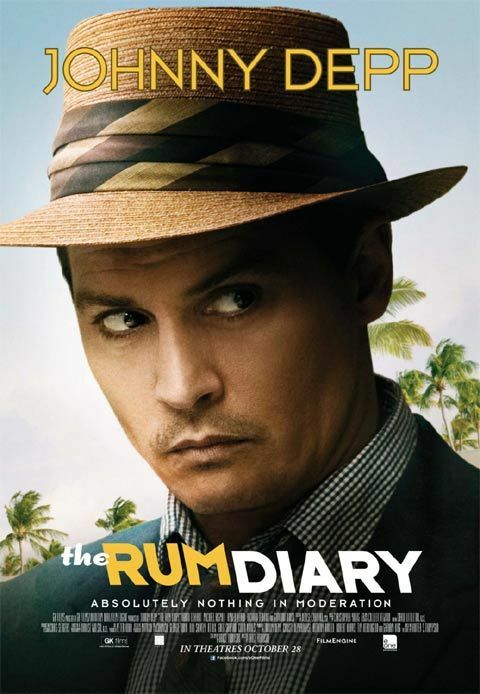 "Rum Diary" also seemed a natural fit for Robinson, though it required luring the screenwriter back into the director's chair after considerable time away. Having launched his career with his own counterculture manifesto, exposing the drug- and flea-infested British Bohemian underbelly in 1987's "Withnail & I," Robinson was something of a kindred spirit to the authority-bashing Thompson.But with Robinson melding Thompson's characters, streamlining story lines, adding others, the novel's essential power has been lost in translation. Where Thompson gave us skillfully observed substance, Robinson gives us well-crafted veneer. 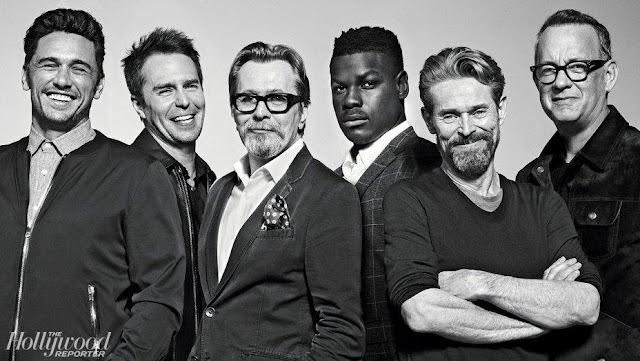 That comes as a surprise given the achingly intelligent feel for the material Robinson displayed in his Oscar-nominated screenplay for "The Killing Fields," for example." Read the complete Los Angeles Times review from Betsey Sharkey. I wonder what Josh Hartnett thinks? Hartnett was originally talked about for the role of Yaemon - a key character from the novel and one whom Robinson slashed from the film. Coincidentally, Hartnett (who, let's face it, hasn't been lighting up the screens that much lately) will appear next in Roland Joffe's Singularity coming out next year. Coincidentally because Joffe directed The Killing Fields which Robinson wrote so beautifully! Anyway, I'm picturing Josh Hartnett sitting at some Hollywood cafe, reading The Rum Diary reviews over a chai latte and smiling just a tad, thinking to himself, "That'll teach ya!" As lousy as the film is, I'm of a mind to re-watch it simply to see the Puerto Rico I remember from the year I spend in San Juan in 1968. I'd like to revisit the beautiful island that has been ravaged this year by hurricanes and may never be the same.